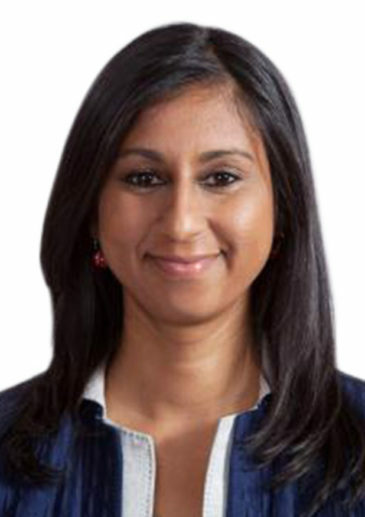 Maryanne Angumuthoo is a partner in our Johannesburg office and a member of the Competition Practice. She advises on various aspects of competition law including merger notifications, cartel investigations, leniency applications and competition compliance audits across a number of industries including healthcare, energy (oil, natural gas and LPG), and chemicals. Her experience also extends to competition-related litigation and training. Maryanne also assists clients with merger filings and competition law conduct in other African countries. Aside from her competition work, Maryanne advises on the gas regulatory framework in terms of the Gas Act and Regulations, including the gas pricing regime. Maryanne has BA, LLB and LLM degrees from the University of KwaZulu-Natal, an LLM from Duke University School of Law, USA (as the recipient of a World Bank Graduate Scholarship) and Certificates in Competition Law and Advanced Administrative Law from the University of the Witwatersrand and in European Competition Law and Policy from the London School of Economics and Political Science, UK. Advising one of the three large hospital groups in South Africa in the market inquiry into private healthcare. Acting for Namib Mills in relation to the first alleged abuse of dominance case by the Namibian Competition Commission. Advising on the Microsoft/LinkedIn matter which was nominated for the GCR Award in 2017. South African competition counsel to E.I. DuPont de Nemours and Company in relation to the USD 130 billion international merger of equals between DuPont and The Dow Chemical Company , including intending the notification and clearance approvals required for the transaction in relation to the COMESA, Kenyan and South African competition regulators. Acting as local competition counsel Linde AG, a German based chemicals manufacturer, in relation to the combination of the businesses of the Linde group and the Praxair group under the new holding company, Linde PLC. Engaged in high court and Supreme Court of Appeal review proceedings regarding the gas pricing regime. Maryanne was recognised by Who’s Who Legal 2018 as a Competition Future Leader in the Partners category. Listed in the Global Competition Review 2018 in the Partners under 45 category. Advised on the Microsoft/LinkedIn matter which has been nominated for the Global Competition Review (GCR) Awards 2017 Merger control matter of the year – Europe: Creative, strategic and innovative competition work for a client on a landmark merger control matter in Europe.